This gastropub sits diagonally opposite from the landmark it’s named for. The aptly named Town Hall Tavern is the same age as the Queen! But unlike Her Majesty, it had a complete refurbishment in 2011. 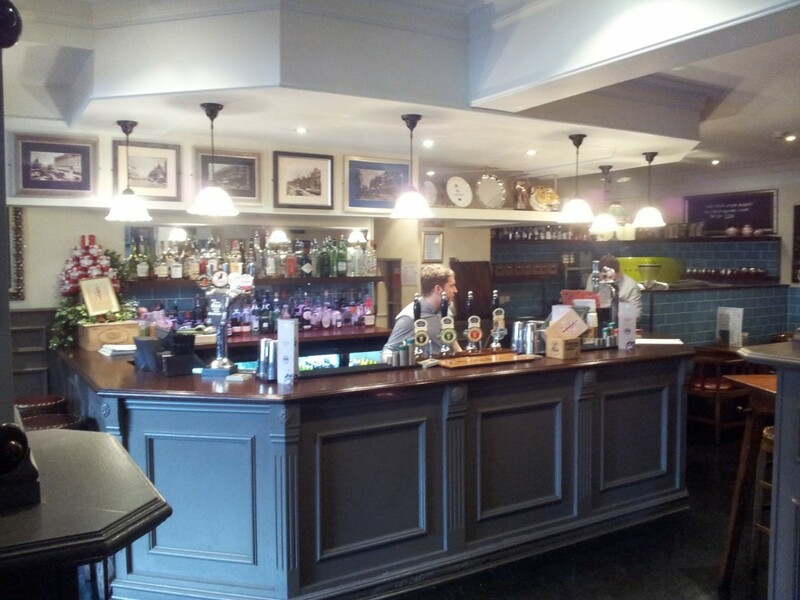 It now offers visitors a warm and inviting pub with a classy modern feel. 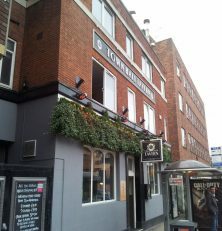 They always have three Timothy Taylor’s cask ales, along with one guest (which is also sometimes a Timothy Taylor’s). In the fridge you’ll find one or two other ales like Havercake and their electric taps offer several international lagers such as Kozel and Staropramen. And with pints priced from £3.10-£3.30, the value is about average. 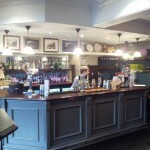 The bar area, showing the new style. The real draw to the Town Hall Tavern is the food. Serving traditional Yorkshire cuisine with a gastro twist, it’s a great place to bring visitors who want a taste of the region. And while we haven’t tried them yet, their Sunday roasts look delicious. It can get a bit crowded around lunchtime or during happy hour, catering to employees of the courts and other Headrow businesses. The layout sometimes means standing-room-only, but if you can snag a table it’s definitely worth your while to enjoy a good meal and a nice pint along with it. There is the gem of a good pub here but everything is just a tad bit inauthentic, meaning it falls into yet another generic looking city centre drinking hole. The beers are good, what with the Timothy Taylors connection, and there are some cosy spots. It’s generally quite small and can be very busy. 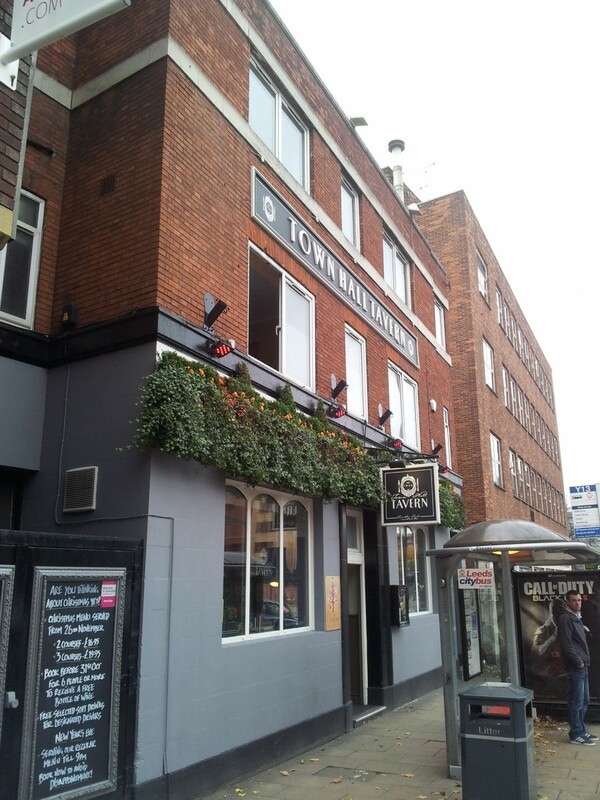 One of Leeds many many hard-to-love pubs that try and please everyone a little bit instead of a few people a lot.